During a week-long relaxing (yet busy!) visit to the in-laws, they wanted to take Miss Precious to the Baltimore zoo. 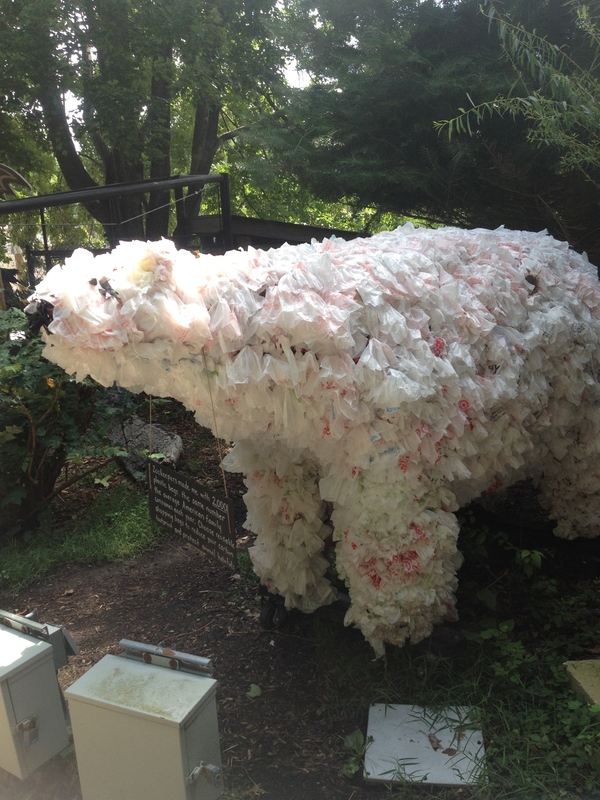 I didn’t expect to see anything environmentally friendly at the zoo. Hmm…I spotted a recycling bin next to every trash receptacle. That made me happy. Oh, and this guy… Where have you been surprised to find something environmentally friendly? 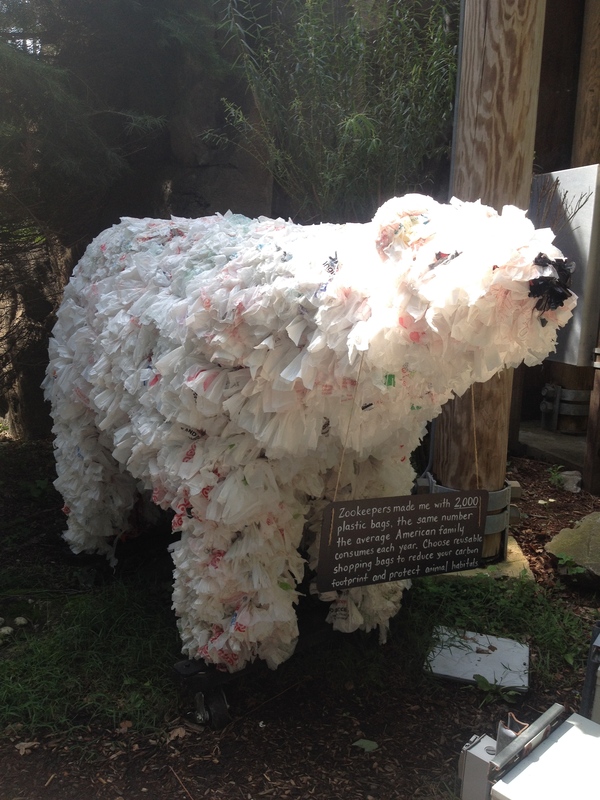 This entry was posted in Recycling and tagged Baltimore zoo, environmentally- friendly, military spuse, militaryzerowaste, recycling plastic bags, resuable bags, zero waste. Bookmark the permalink. 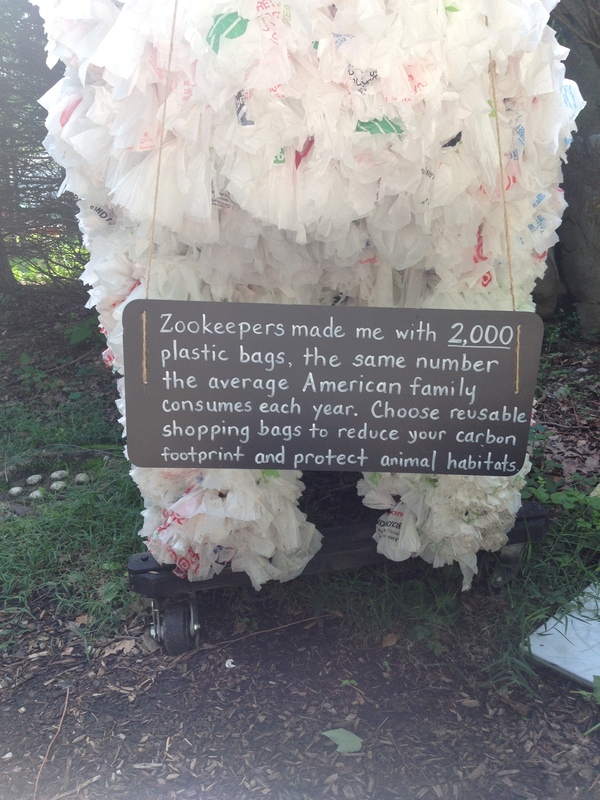 oww, th e plastic bag is the cutest enviromental satire ever…. Jen, I miss your posts! I imagine you’re awfully busy with your youngun, but hope you’ll check in and see that I nominated you for the One Lovely Blog award. It’s really a way to showcase yourself and pass it on to other bloggers who have touched you in some way! Oh, You three just made my day. I have been SWAMPED with yet another move. But I appreciate your comments!